This TrulyBrooklyn platform is for Brooklyn lovers and visitors alike, creating a community among residents, neighborhood explorers, and admirers. Active members can become #Ambassadors for their neighborhoods, resulting in discounts and free admission, similar to a press pass at select events. 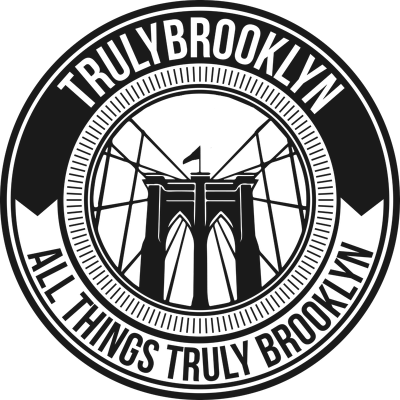 TrulyBrooklyn is intently focused on Brooklyn’s unique neighborhoods, their historic contributions, and modern relevance for all ages. Our goal is to develop an app that will enable our users to browse reviews and ratings of places in their neighborhood, or a neighboring community they would like to explore, from user that have shared their own experience with comments, images and videos at events and venues throughout the borough. Our youtube channel will be used to post short clips and special feature presentations of whats happening, current events, and expose creative artists, and occasional Live Broadcasts! #trulyBrooklyn is a participant content driven program that allows our users to share their reflections of truly Brooklyn experiences. These reflections will bring people of similar interests together and drive business to shops, special events, venues, artists and street parties. We are a platform for international visitors and New Yorkers alike who want to have a true Brooklyn experience. Wether you live in Brooklyn or Tokyo, you can find truly authentic places to go for a genuine good time in the Borough of Brooklyn. We enable our users to browse reviews and ratings of places in their neighborhood, or a neighboring community they would like to explore, from users that have shared their own experiences with comments, images and videos at events and venues throughout the borough, with the ability to “pinging/invite” nearby friends to join them. Our voice is that of a lifetime of Brooklyn residents, not easily phased, loyal, keeps it real, and Loves to explore and have fun. What makes us the authority on what is considered a truly Brooklyn experience? Our ambassadors! The Brooklyn we look for consists of the true “seasonings” of the borough, that which makes it such a delicious gumbo of culture and expression. Featuring and focusing on Brooklyn’s places, people, brands and products, as well as upcoming talent in music, fashion and art. All the ingredients having authentic roots in the community. Additionally our contributors are local, and explorers who value the old school Brooklyn ways and traditions, and equally embrace the ever changing communities of today. We focus on Showing off everything from well rooted Mom-n-Pop Shops, BAM and Brooklyn Museums’ first Saturday, to neighborhood Street fairs and Block parties. Not what you would normally expect, rather just the opposite. The audience talk to us, from right there, on the spot! We are Brooklynites, We want to know what house party that is on the roof around the corner, the latin mom-n-pop shop has the best rice and beans, or the Jamaican spot with the best Jerk Chicken. And when the local pub hosts a talented Brooklyn Band live, or an art exhibition…. yep, we want you to know about that too. See comments, ratings and reviews of popular or “trending” spots around Brooklyn to gain some inspiration. We understand there is so much happening in the borough and it could be daunting trying to sift through it all, so we have created filters to narrow down your search. You can search “Near Me”, neighborhoods, parks, museums, Free events, ratings, features and $-$$-$$$. See comments from users, get updates about the upcoming Cherry Blossoms at the Botanical Garden, The Atlantic Antic street festival, First Saturdays at the Brooklyn Museum or the West-indian/Labor Day Parade, so you’re sure not to miss the ones on our featured “to attend” list. Throughout my travels I have learned that inner-cities around the world enjoy a lot of the same things…, our music fashion and film are inspired by the same emotion to stretch out at the seems, find the boundary and push it to make room for something new and relevant. Though I’ve enjoyed exploring the essence of the inner-style we all have within, the unique style that reflects our lifestyles and our spirits, which are all so beautifully diverse world wide. We celebrate this diversity in Kings County. It’s the Truly Brooklyn way. We are creating and generating an energy that will move young people through interactions with like minded Brooklyn enthusiast, “fame and reward”. Our portraits and journals of “Roots~n~Progress”, “Beyond the Borough”, “Stoop Talk” and Features on our youtube channel have an international appeal in urban environments the world over, and we are here as a guide for all.